Change is inevitable--and scary. Without familiar roles, who are we? Where will we find meaning and purpose? After 30 years as a wife and mother, empty-nester Joan Anderson (Karen Allen) asks herself these questions. Her husband (Michael Cristofer) has relocated to Kansas; rather than follow, she retreats to Cape Cod, hoping to jumpstart her writing career and renew her self-esteem. Along the way, she encounters Joan Erikson, wife of the famed psychologist Erik Erikson, who coined the term "Identity Crisis." The bonding between the women, including Joan's agent, is momentous. However, the men also struggle with similar issues, including the one thing we all must learn to accept: change. An award-winning composer, songwriter and screenplay scribe, Alexander Janko's creative repertoire spans the music, literary, stage, TV, and film industries. Classically trained as a cellist, his first single, "Omniscient Woman", won Billboard's Best Original Song competition in 1991. After graduating Princeton University, he moved to Hollywood where he composed music for more than sicty-five major motion pictures, including award-winners "Anastasia", "Man on the Moon", "101 Dalmatians", and "My Big Fat Greek Wedding". Janko has authored a one-act stage play and five screenplays, including "Year by the Sea" (based on Joan Anderson's trio of selling memoirs) and "Home Town" (based on Pulitzer Prize-winning author Tracy Kidder's best seller). 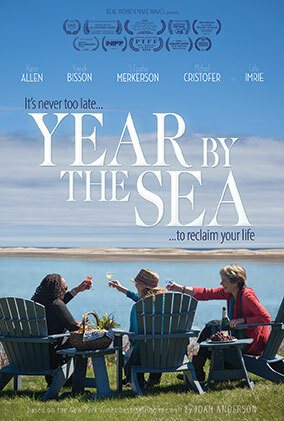 "Year by the Sea" is his directorial debut.